How to transfer your mobile phone number from one network to another: a step-by-step guide to using a PAC Code. In the UK, it’s a straightforward process to transfer your phone number from one mobile network to another. This means you can change mobile networks whilst keeping your current phone number, ensuring you won’t miss any incoming messages or phone calls. To move your phone number from one network to another, you’ll use something called a PAC Code (or Porting Authorisation Code). It’s always free to transfer your phone number between mobile networks and the process should only take one working day. Through the rest of this article, we’ll discuss the procedure behind transferring your mobile phone number in a bit more detail. We’ll show you how to obtain and how to use a PAC Code. We’ll also discuss the time limits on using a PAC Code and your legal entitlements to it as per Ofcom regulations. Finally, we’ll look at some special cases (e.g. transferring a phone number within the same mobile network or transferring a phone number that’s on Pay As You Go). 1 What is a PAC Code? 3.2 How Long Does It Take? 3.3 What Happens On Transfer Day? Start by getting a PAC Code from your current network. See the contact details below for information on how to request your PAC Code. It’s always free to obtain a PAC Code and this is your legal entitlement as per Ofcom regulations. Order your new phone or SIM card. You should order your new phone or SIM card from your new mobile network. You’ll initially be given a temporary phone number so you can make sure it’s working correctly (e.g. make sure you’re happy with your handset and are getting satisfactory coverage). Give the PAC Code to your new mobile network. Once you’ve made sure you’re happy with your new mobile network, give the PAC Code to them and they’ll use it to transfer your phone number over. You can submit your PAC Code either through an online form or over the phone. Note: PAC Codes are sometimes confused with PUK Codes (Personal Unblocking Key Codes). The two codes serve a very different purpose. A PUK code is required if your handset becomes blocked (e.g. if you accidentally enter your PIN number incorrectly three times). When moving mobile networks, be sure to ask for a PAC Code rather than a PUK Code. The first step in transferring your mobile number is to obtain a PAC Code from your current mobile network. A PAC Code is nine-digits long and allows you to transfer your phone number to another mobile network. A PAC Code contains three letters followed by six numbers (e.g. ABC 123 456). or 0800 800 150 from another phone. See full contact details. or 07953 966 250 from another phone. See full contact details. Alternatively, call or text 43431 to get your PAC Code. or from another phone: 0344 8090202 (Pay Monthly), 0344 8090222 (PAYG). See full contact details. or 03300 412 524 from another phone. See full contact details. or 0333 338 1001 from another phone. See full contact details. or 0345 6000 789 from another phone. See full contact details. or 03333 040 191 from another phone. See full contact details. or 03333 442278 from another phone. See full contact details. or 0800 079 2732 from another phone. See full contact details. or 0113 887 0823 from another phone. See full contact details. or 0333 003 7777 from another phone. See full contact details. or 020 3059 0304 from another phone. See full contact details. or 020 7132 0322 from another phone. See full contact details. or from another phone: 07973 100 150 (Pay Monthly), 07973 100 450 (PAYG). See full contact details. or 0800 079 1133 from another phone. See full contact details. or 0333 304 8064 from another phone. See full contact details. or 0345 172 0044 from another phone. See full contact details. or 0345 301 4455 from another phone. See full contact details. or 020 7362 0200 from another phone. See full contact details. or 020 7179 0134 from another phone. See full contact details. When calling your current mobile network to ask for a PAC Code, you’ll sometimes be passed to the “customer retentions” team. They’ll sometimes try to convince you to stay on their network, but remember: it’s your legal right to be able to get a PAC Code. If they make it difficult, you can remind them of their legal obligation which is to give you a PAC Code within 2 hours of your request. Once issued, your PAC Code is valid for 30 days. You should write it down, keeping it somewhere safe and secure (treat it like a password, as anyone with the PAC Code can initiate a phone number transfer). There’s no need to cancel the plan on your current mobile network. This will be done automatically for you once the PAC Code has been used. When your new phone or SIM card arrives, spend a little bit of time to make sure everything works correctly (e.g. make sure you’re happy with the handset, and make sure you’re getting satisfactory coverage). Once you’re happy to move your phone number over, you should contact your new mobile network to give them your PAC Code. After the PAC Code has been given to your new mobile network, it will not be possible to reverse the phone number transfer. or call 150 from your BT handset / 0800 800 150 from another phone. See full contact details. or call 150 from your EE handset / 07953 966 250 from another phone. See full contact details. The PAC Code must be submitted to giffgaff online. from another phone: 0344 8090202 (Pay Monthly), 0344 8090222 PAYG). See full contact details. or call 03300 412 524 from your Sky handset / 03300 412 524 from another phone. See full contact details. or call 333 from your Three handset / 0333 338 1001 from another phone. See full contact details. or call 191 from your Vodafone handset / 03333 040 191 from another phone. See full contact details. or call 03333 442278 from your 1pMobile handset / 03333 442278 from another phone. See full contact details. FreedomPop will charge you £4.99 when you transfer a phone number in using a PAC Code. or call 0113 887 0823 from your FreedomPop handset / 0113 887 0823 from another phone. See full contact details. or call 7777 from your iD handset / 0333 003 7777 from another phone. See full contact details. or call 322 from your Lycamobile handset / 020 7132 0322 from another phone. See full contact details. from another phone: 07973 100 150 (Pay Monthly), 07973 100 450 PAYG). See full contact details. The PAC Code must be submitted to Smarty online. The PAC Code must be submitted to Superdrug online. or call 4455 from your Tesco handset / 0345 301 4455 from another phone. See full contact details. or call 150 from your T-Mobile handset / 020 7362 0200 from another phone. See full contact details. or call 191 from your VOXI handset / 03333 040 191 from another phone. See full contact details. We wouldn’t recommend using your PAC Code if you plan to cancel your new contract or if you want to return your new handset. This is because there will be added complications if your phone number has already been transferred to the new mobile network. Once you’ve given your PAC Code to your new mobile network, your phone number transfer will normally be scheduled for the next working day. If you submit your PAC Code fairly late in the day, it’s possible you’ll need to wait one additional working day. The daily cut-off time for submitting a PAC Code and getting a next-day transfer is between 3pm and 5.30pm depending on your mobile network. * Day of Submitting PAC Code: You’ll need to submit the PAC Code before the daily cut-off time (3pm to 5.30pm depending on your network). If the PAC Code is submitted after the daily cut-off time, you’ll need to wait an additional working day for the transfer to take place. You’ll need to be in the UK on the day of the phone number transfer. What Happens On Transfer Day? Until the transfer takes place, you’ll continue receiving coverage from your old network. Whilst you’re waiting for the phone number transfer to take place, your incoming phone calls and text messages will continue to be received on your old mobile network. On the day of your phone number transfer, your new mobile network will take control of your phone number. Simultaneously, your old mobile network will release the phone number and your account on that mobile network will also be closed. When the transfer happens, you’ll momentarily lose coverage on both of the networks. You’ll need to restart your handset for the coverage to come back and for the phone number transfer to be completed. After a restart, incoming phone calls and messages should then be routed to your new mobile network. Throughout the whole process, there should be little or no loss of service. 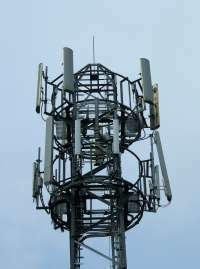 This is because you’ll continue receiving coverage on your old network until the transfer takes place and until the new mobile network takes over. Your PAC Code will expire 30 days after issue. If you don’t use your PAC Code inside that 30-day window, nothing will happen and the account on your old mobile network will stay open as before. Normally, we’d recommend using your PAC Code within 26 days of it being issued (this is to allow for the expected number transfer timeframe). If your PAC Code has already expired, you can request a new one using the instructions above. If you’re using an iPhone, you may experience problems with iMessage and FaceTime after transferring your phone number with a PAC Code. If you’re moving your phone number to a new iPhone, you might see your temporary phone number continuing to show in iMessage and FaceTime. 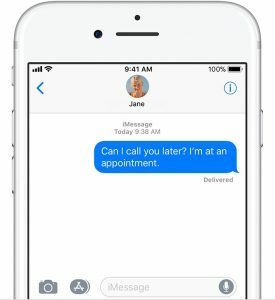 To resolve this, you’ll first need to disable iMessage and FaceTime on your iPhone (you can do this by going to Settings > Messages > iMessage and Settings > FaceTime). After doing this, go to Settings > Phone > My Number and enter your correct phone number there (this should be set to the phone number you wish to keep). You should then restart your iPhone, after which you can re-enable iMessage and FaceTime. If you’re moving your phone number from an iPhone to a non-Apple device (e.g. Android), you may find you stop receiving messages from people with an iPhone. To fix this, you’ll need to de-register your old iPhone from iMessage and FaceTime. If you still have access to your old iPhone, go to Settings > Messages > iMessage and switch it off. You should also go to Settings > FaceTime to turn FaceTime off. If you no longer have access to your iPhone, you can de-register iMessage through the Apple website. As per Ofcom regulations, you’re legally entitled to transfer your mobile number to another network. The right is enshrined within clause 18 of Ofcom’s General Conditions (Ofcom is the UK’s regulator for telecommunication services). According to the General Conditions, you must be given a PAC Code within 2 hours of your request. In most cases, the PAC Code will be provided immediately over the phone. However, it could also be sent to you as a SMS text message. If the PAC Code is being sent via SMS, the network must still provide it within the two-hour time limit. Failed security check. You’ll need to prove your identity when contacting customer services to get a PAC Code. If you aren’t able to adequately prove your identity, the mobile network reserves a right not to issue you with a PAC Code. The stringent security checks are in place to make sure no-one is able to “steal” your phone number. If you have a non-registered Pay As You Go account, you may be asked for information about previous top-ups and usage. A PAC Code has already been issued. Once a PAC Code has been issued, it’s valid for 30 days. Until the previous PAC Code expires, your mobile network will be unable to issue you with a new one. Your account has already been closed. A PAC Code can only be issued if the account is still open and if the phone number still belongs to you. If you’ve already closed your account on the network, the phone number may have already been returned to the network. As it’s not possible to recover a phone number once it’s been returned to the network, you should keep your account open until the PAC Code has been used. If you’re a Pay As You Go customer, you should also be aware of your mobile network’s minimum activity requirements. If your network refuses to provide you with a PAC Code, they must inform you of the reasons why. Unpaid debt cannot be used as a reason not to issue you with a PAC Code. If you’re still within the minimum term of your contract, this also can’t be used as a reason not to provide you with a PAC Code. However, you might be charged an early termination fee on your final bill if you choose to end your contract early. A PAC Code is only used for transferring your phone number between two different mobile networks. If you’re staying on the same mobile network but simply changing to a different tariff, it isn’t necessary to go through the PAC Code process. Instead, simply call the customer services department of your current network and request a phone number transfer inside of the network. You’ll need to provide details of both of your accounts. If you simply need to change the size of your SIM card, see our guide to getting a replacement Micro SIM or Nano SIM. The process for changing the size of your SIM card is even easier and won’t normally require a call to customer services. You can’t transfer Pay As You Go credit. You should follow the normal PAC Code process when transferring a phone number that’s on Pay As You Go. One extra thing that’s important to be aware of is you can’t transfer Pay As You Go credit from one network to another. Therefore, any credit remaining on your old account will automatically be forfeited on the day of the phone number transfer. For this reason, it’s normally a good idea to use up your credit before the date of the phone number transfer. If you have a large amount of money remaining on your account, consider donating it to charity rather than spending it frivolously. You can donate money via text message to Cancer Research, the Red Cross and Save the Children. The minimum donation is typically around £3. You can also check directly with your favourite charity to see whether they’re able to accept donations by text message. There are some further ideas here on how to best use up your Pay As You Go credit. Switching to a SIM-only deal can save you in the region of £200 per year. A SIM-only deal is an airtime-only contract where you get a new SIM card for your existing, unlocked smartphone. Compared to traditional mobile contracts, a SIM-only deal will offer you much lower rates. 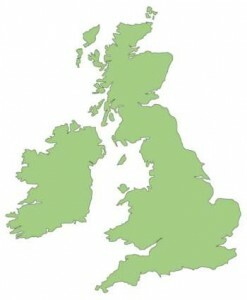 You can normally expect to save in the region of £200/year with a SIM-only deal. For more information, see our full guide to SIM Only deals. For SIM-only deals, the process of transferring your phone number is exactly the same. As an extra step, you should take care to make sure your handset is unlocked. If your handset is currently locked to a network, you’ll need to unlock it before using it on another network. For more information, see our in-depth guides to unlocking an iPhone and unlocking a Samsung Galaxy smartphone. If you’re changing to a SIM-only deal, you should also make sure you order a SIM card of the right size. The guide here will help you to find out which size of SIM card is required by your smartphone. If you’re using a PAC Code to transfer your number to another network, the account on your old mobile network will be closed automatically once your phone number has been transferred over. If you simply want to end your old contract without keeping the phone number, there’s no need to request a PAC Code. Instead, just call your mobile network and tell them you want to end your current contract. This is much easier than requesting a PAC Code (with the latter, your account stays open until the PAC Code is actually used). In general, rather than cancelling your contract entirely, we recommend you instead move the number over to a Pay As You Go network. This allows you to hold on to the phone number at minimal cost in case you want to use it again in the future. It’s impossible to swap the phone number on two accounts. When porting a phone number into a mobile network, the original number on that network will be lost. It isn’t possible to swap the phone number between two accounts or mobile networks. You can’t transfer a phone number that has already been lost. For instance, if you’ve already cancelled your contract or if your phone number has expired due to inactivity on Pay As You Go, the phone number will have already been lost and can no longer be transferred elsewhere. You can transfer ownership of a phone number with a PAC Code. When using a PAC Code, there is no check with regards to the account holder name on your old and new accounts. You can therefore transfer a phone number to someone else’s account (e.g. giving it to friends or family). Please be aware of the possible privacy implications when choosing to do this, as someone else will now have access to your incoming phone calls and text messages. Businesses can transfer up to 25 numbers using a PAC Code. Small businesses can use a PAC Code to transfer up to 25 phone numbers from one mobile network to another. Larger businesses wanting to transfer more than 25 phone numbers should contact their network for full details on the process to follow. A different system exists for transferring landline phone numbers. PAC Codes can only be used to transfer mobile phone numbers in the UK (these are UK phone numbers beginning with 07). If you wish to transfer a landline phone number (beginning with 01 or 02), you should contact your landline phone provider to find out how to do this (e.g. BT, TalkTalk, Sky or Virgin). For a step-by-step guide that takes you through the process of transferring a mobile number, please use our PAC Code Finder. We'd love to hear your thoughts and any questions you may have. So far, we've received 1536 comments from readers. You can add your own comment here. Okay so would this be the same process if my SIM card is damaged and I want to keep my current number? Thanks for your comment. No, there’s no need to follow this process if you’re not changing mobile networks. 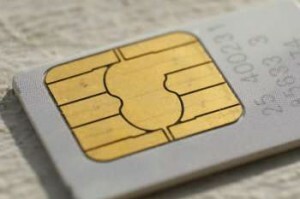 As you want to keep your existing price plan on the same mobile network, you can simply contact your mobile network operator to ask for a replacement SIM card. How is it free to request the PAC code while they charge 9p per call and that is the only way to request it? Thanks for your comment. There should be a way to contact your mobile network without paying any more than the standard UK landline rate. Could you let me know which network you’re trying to obtain a PAC Code from?